She’s known for giving her time to others, doing more than what’s asked of her, and putting everyone before herself. 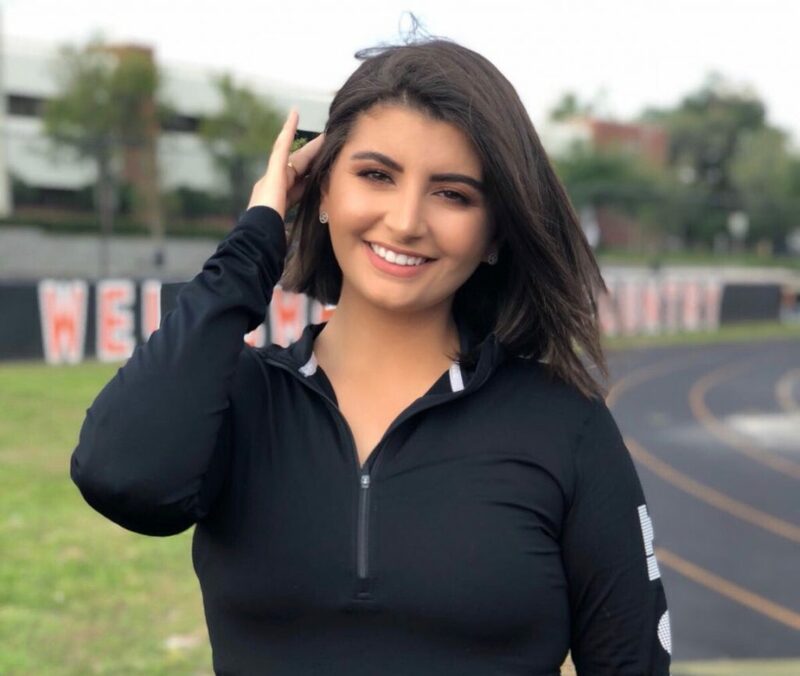 If she’s not spotted out on Oviedo’s track and field as the assistant sprinter’s coach, she can be found volunteering at the Orlando Regional Medical Center or dedicating her time to her studies at the University of Central Florida. Diala El’harake is a junior at UCF majoring in health sciences preclinical with the dream of obtaining a doctorate in physical therapy. 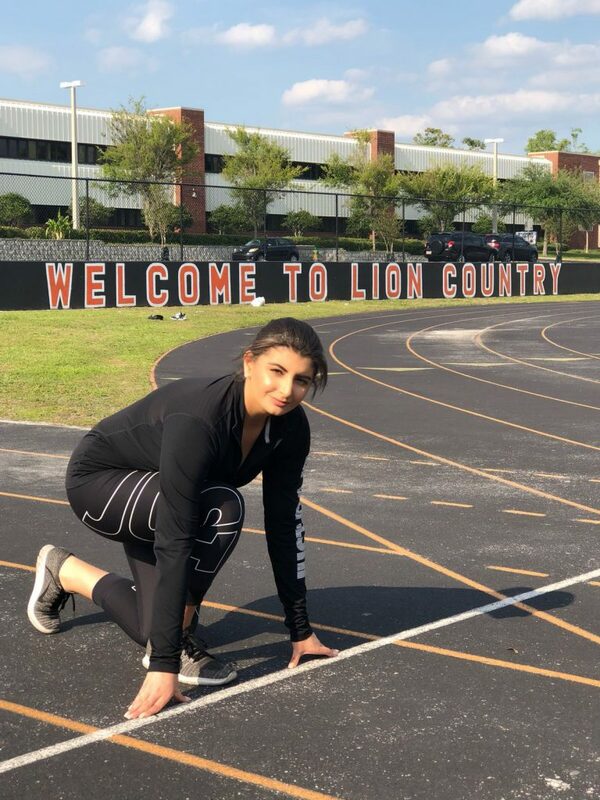 Her passion for wanting to become a DPT is what drove her to volunteer on her own this year with the Oviedo High School track and field team. “I want people to be able to heal, succeed, and achieve goals in their life through health and I want to be that stepping stone there for them along the way,” El’Harake said. El’harake said she took on the role as an assistant coach when her sister, Lama El’harake, a freshman on the shot put team, came home and said the track team was short staffed. El’harake didn’t waste any time sending an email to head track and field coach, David Tibbetts, asking to join the team and help solve this problem. Every morning El’harake wakes up at 6 a.m. to take her sister and athlete to school, and every afternoon, whether they have practice or not, she picks lama up. Lama said her sister is always putting other’s before herself in everything she does. When it came to wanting her team to be the best she knew they could be, El’Harake didn’t just want them being the best runners. She wanted each of her athletes biggest take away to be, how to be the best versions of themselves. Including respect for others, discipline, and hard work. Senior athlete Hannah Rosich said this is just what El’Harake gave their team and so much more. “I’m really thankful for the addition of coach Diala, she really stepped in and helped with my mentality by giving me more motivation and showing me what I needed to do,” Rosich said. It wasn’t just about what El’Harake wanted her athletes to take away but what she was able to take away and learn from them as well. Helping her to understand that not everyone learns the same way. Sometimes she had to use different teaching techniques for the athletes to get to their goal. When it comes to committing to her studies at UCF El’Harake has made the President’s List or Dean’s List every semester. She knew volunteering herself for the position as an assistant coach could only help her grow in her studies and not harm her. When asked if she would take on the role again as volunteer assistant coach next year for Oviedo High School, without hesitation, El’Harake said absolutely.